Last weekend I was able to connect with my mom and chat to her for over an hour. We shared our experiences over the last week and I told her my news and that of my family. My girls also had the opportunity to speak to their granny and tell her directly a little bit of what is happening in their lives. 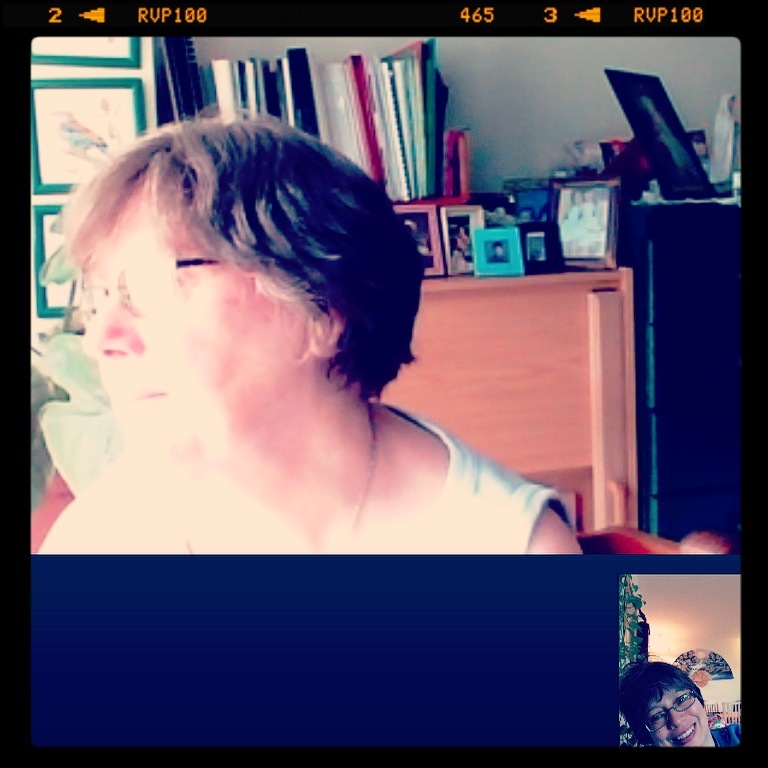 Each time I have a chance to chat with my mom I am grateful for Skype. Not only do I get to hear her voice but I also get to see her – and whatever project she is currently working on. Skype almost makes up for the fact that I am not able to visit her very often. Thank you Colleen. It is always a special gift when I am able to have a good connection and chat with her on anything. Skype is one of the many great inventions that has come out of technology. We use it to contact family in Chile regularly, its more personal than a landline call. I agree with you Ian. With Skype we get to see people’s faces and their expressions. It is certainly a richer experience than a phone call. I remember growing up video calls were something we imagined! We would play that we could do something as awesome and futuristic as a video call. Dude!! I am so right there with you!!!! I’m grateful for Skype also, Colline. We get to see our little granddaughter every week, even though she lives 1000 miles away. I even use it to do face-to-face critiques with my critique group back in Colorado. I have heard too that more and more people are using it for business as well. There is nothing like talking face to face and Skype certainly helps with that. Digital technology is amazing! Not only for keeping in touch, but also for finding people. I have rediscovered many family members using the internet. We now take it so for granted! You have made a valid point Madoqua. This has been certainly true for my husband. It certinly is Michelle. It has been a saving grace.